Everyday Beauty: It's Little. It's Lovely. It Lights! It's Little. It's Lovely. It Lights! What? My voice sounds different? Well, I am talking on my swell new Princess Phone! It was a birthday gift from my friend Nicole. Apparently, I like Princess Phones more than I realized......I've been picking up these little ditties at flea markets for a quite a while now. They were promotional key chains that were given out in the early 1960's when every teenage girl had a Princess Phone. My mom had a pink one! Can you believe she didn't keep it??!! This is Rebecca. I was just calling to tell you that I really dig your new phone and geez how I LOVE those key-chains. I think I want to be a princess too. :) Take care and talk to you later. Bye. Whoa- my dad worked for Ma Bell when we were kids...those keychains used to be all over the place..I had several to play with....I wonder if he stashed any away? I've been eyeing up those phones for a while now! Really must "invest" in one!! The keychains are too cute! i love the princess phones!!! We used to use those little keychain phones in our Barbie house...pink of course! The princess phone is adorable! And the keychains are so sweet! I think when my pretty in pink workspace is complete it may require a princess phone as a finishing touch. Oh my goodness, those key chains are absolutely adorable! I have never see any like them aorund these parts. I had one of these when i was a tween. i saw one during christmas at target. Now i know where i can find one!! so cute, Andrea! 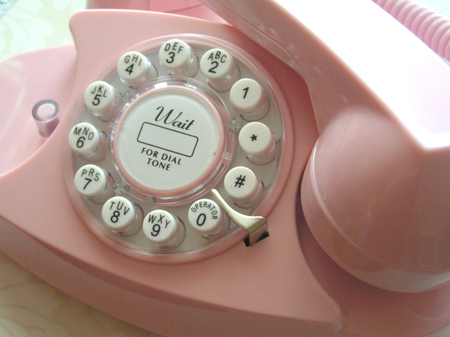 I want a pink wall phone for my kitchen. EEEK! Love your pink phone and keychains!!! FUN! FUN!!!! How cute! I have a pink mary kay phone. Oh wow, oh wow, oh wow...hello? Oh, sorry honey, I was just reading this blog, distracted by this pink Princess phone, can I call you back later? Love the NEW pink princess phone. 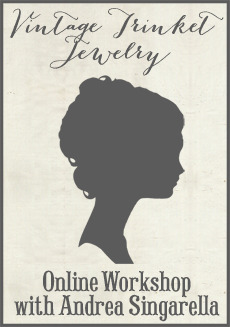 Maybe I will put one in my new craft space?? ;) OOHHH, and the itty, bitty keychains are too cute. Could we possibly be seeing those in the store? I can see one hanging off my address/phone number book. Oooh! I have been wanting one of those! ADORABLE!!! I have 3 of the promotional keychains. 2 aqua-ish blue and one pink. I found them @ the flea market and plan to list them in my store soon. I'm so psyched to come across this post. Enjoy your new phone. I've been collecting old black phones for sometime btw. There's a collector for everything! Oh yes...I had several miniature princess phones in my dollhouse. What a fun thing to collect! Thanks for the fun post and for the book recommendation. You're a sweetheart! I never had a princess phone, but always wanted one! I remember when they had real rotary dials that took forever to dial someone. 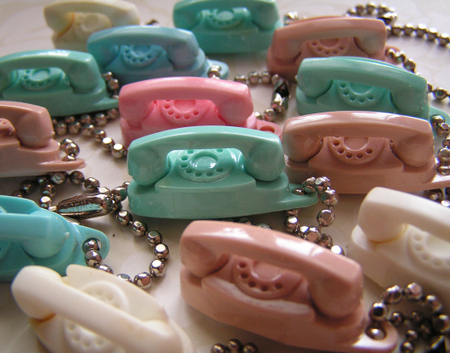 I did have one of those little charms in aqua - not my fav color at the time, I wanted pink! Hello Andrea, this is Laura. I think I just found a perfect gift for my daughter. I myself will now be on the hunt for a keychain. Love it! Can't wait to see what yummy confections you'll carry. That's a cool telephone. I have that phone too. I picked mine up in California at Macy's. 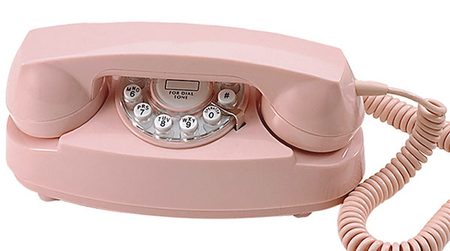 It's a beautiful telephone-the perfect shade of pink.